Flyers Trapped, Robbers on loot. In an unprecedented occurrence, passengers flying or booked on Kingfisher flights were stuck in aircraft and airports across the country on Sunday evening when the airline's engineers, unpaid for months, went on a flash strike after learning that their houses were burgled when they were sincerely performing their duties. Meanwhile,Thieves returned bare-handed from seven houses when they did not find any valuables except stale food packets meant for airline passengers. It is assumed that the thieves entered the houses for gold and other expensive items but could not find any. Police sources said that all the thieves belonged to a single group as they entered all the seven houses on the same day. It may be recalled that few days back the Kingfisher has paid the salary for March to a handful of employees, with no salaries sanctioned after that month, now burglary attempt in houses has brought fear among the employees of the company. The anger in the Kingfisher employees is peaking as they fear that company authorities are not heeding their constant refrain that it is unsafe for an airline to keep making its people work without pay for daily sustenance. "It is very surprising the way company management are turning a blind eye to the situation. Will they act only after some robbery takes place?" said an angry pilot, requesting anonymity. The aviation ministry's stance has been that it cannot shut down an airline simply because it has not paid its employees for months and claims that the DGCA will ensure Honey bees and flight safety on whatever number of aircraft Kingfisher chooses to fly. It says by that logic, it would first have to shut down Air India,Force india and Royal Challengers, BCCI, BSNL,...many more, "If employees are unpaid for months, they have the option of refusing to work or quitting and take legal recourse against the airline management. But if you are coming to work then you cannot suddenly go on strike and keep passengers locked inside aircraft. Mamata Di sunegi to dacoity ka drama karegi" said a senior official. Meanwhile, Only person who deserves and gets handsome salary is CEO of crisis-ridden Kingfisher Airlines, Sanjay Agarwal whose pay package was the second highest after Vijay Mallya because he managed to successfully ground the airlines with nobody knowing whether it will take off again or not. While Agarwal has said that he has also not been paid any salary since April as there were no funds,.. so zero loss cost to company. 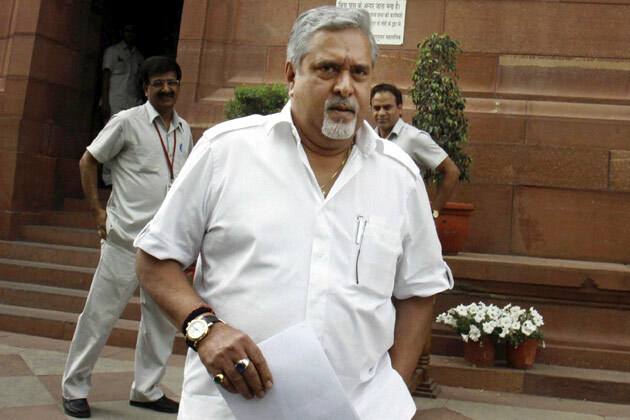 As per the annual reports of seven listed companies of the UB group, its chairman and main promoter Vijay Mallya was paid a total amount of about Rs 1.43 crore (mostly in sitting fees), For sitting and doing nothing while consumers/Flyers were left in the lurch with cancellations and employees were left high and dry without salaries. Following the footsteps of the company employees, While Mallya was not paid anything at Kingfisher and another group firm UB Engineering(share holders take note of this company, which is next in line) this as per the annual reports. But surprise surprise, Kingfisher annual report does not mention any remuneration paid to its chairman Vijay Mallya, who gave guarantees worth Rs 5,904 crore for the carrier's loans and other liabilities in 2011-12, but did not get any income for the same.For these loans, the airline has used as all its security and assets, trademarks, 'goodwill'(whatever is left) of the company, credit cards and other receivables and a mortgage on Kingfisher House. SBI execs to meet Kingfisher's on Mallya's future, after learning that Struggling Finnish mobile phone manufacturer Nokia might sell its headquarters on the outskirts of Helsinki, a senior company official as quoted as saying at a corner shop. After Kingfisher Airlines net loss more than doubled in 2011-12 from the previous year. "We are exploring different options for our property assets. 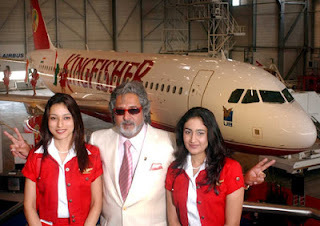 This includes a possible sale of Mr.Mallya," "However we have no plans to sell Jr.Mallya," he added. Earlier this month, the SBI chief was sounding pessimistic about the fate of Jr.Mallya's exposure, he hinted at rating him as NPA (Nonsense Performer with Atitude). The sale of property by a company which then rents the same assets from the buyer is a well-established strategy used by companies needing to raise cash. On international James Bond Day (October 5), Already Not so-Young, suave and Charming superstar Mallya Mam has expressed his desire to play a similar kind of role. The 56-year-old has done action roles in real life like "Kingfisher calendar" and "Poonawala derby" but feels he is not good with guns. The actor expressed his love for the "Bond" series. "I am a big James Bond fan. Always wanted to play a character like him...I am very smooth with cars and women ... bah.. u name it i have all of them in my garage," he wrote and also mentioned his favorite dialogue from "Thunderball" a 1965 Bond movie. "My favourite Bond lines 'JamesBond: That gun, it looks more for a woman. You know much about guns, Mr. Bond? JamesBond: No, but I know a little about women ," he said hinting to his Company business. The first "James Bond" movie was "Dr.No" released in 1962 with actor Sean Connery essaying the role of 007 secret agent. Ever since, 22 James Bond movies have been churned out. The last movie was "Quantum of Solace" released in 2008. 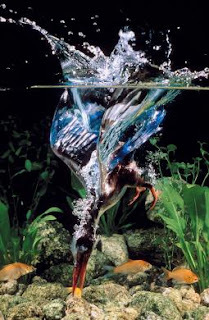 He released a poster and expressed his interest to appear next movie in the successful series titled "Waterfall", which is expected to release after getting leftover funds following Kingfisher airlines Liquidation, if any.